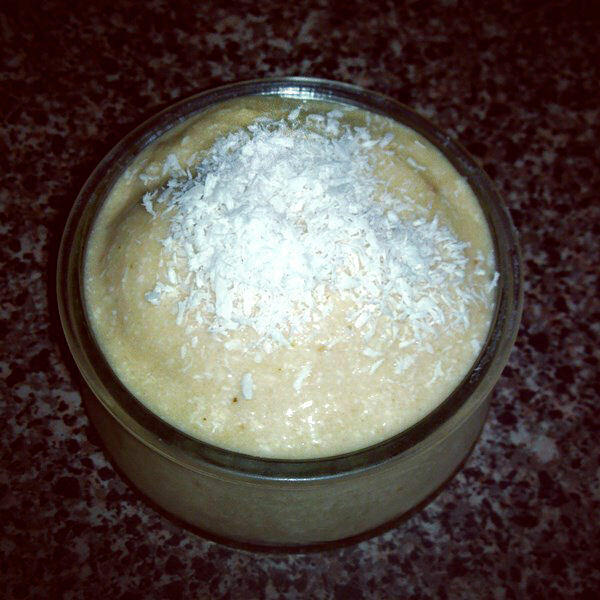 Yet another tasty ice cream/soft serve recipe that contains only a few ingredients, simple to make and wonderful to eat! Blend all the ingredients together until smooth and creamy. You may have to start and stop the blender as well as scrape the sides to make sure everything is fully mixed. You can then spoon the mixture into bowls and eat as a soft-serve treat, or put the mixture in the freezer for an hour if you desire a more ice-cream like consistency. 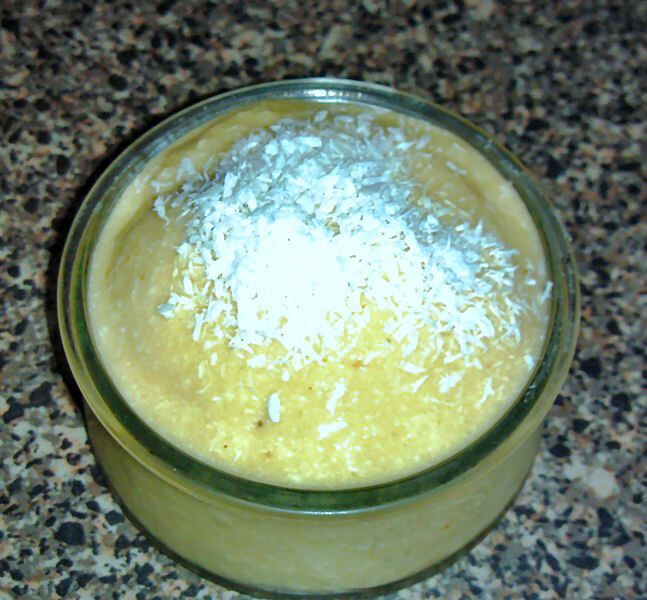 Top with shredded coconut and enjoy!